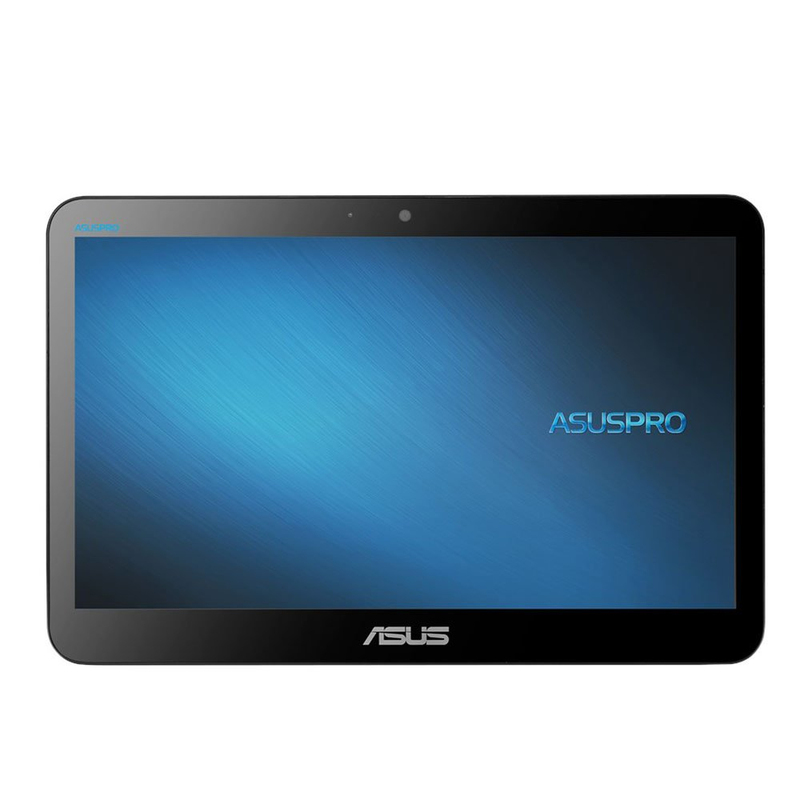 ASUSPRO A4110 All-in-One PC features a 15.6-inch 16:9 LED-backlit display with anti-glare solution that ensures crystal-clear images and reduced power consumption. The 10-point touch panel offers a responsive and smooth touch experience. A4110 is designed for convenient connectivity, and is equipped with serial (COM) ports, USB 3.1 Gen 1 ports, a VGA port and a HDMI output, so it can connect easily to other commercial devices from projectors at school to barcode readers and POS systems at retail. The fan-less design reduces operation noise and improve reliability by reducing dust in the system. The ASUS All-in-One PC is powered by Intel Celeron processor, Intel HD Graphics, and support for up to 8GB DDR3 memory for easy multitasking, enhanced performance, and better energy efficiency in whatever you choose to do. Windows 10 Pro devices provide you the powerful essentials you need for your business PCs more security features, enhanced control, and robust and innovative devices and to stretch your resources to get more done. 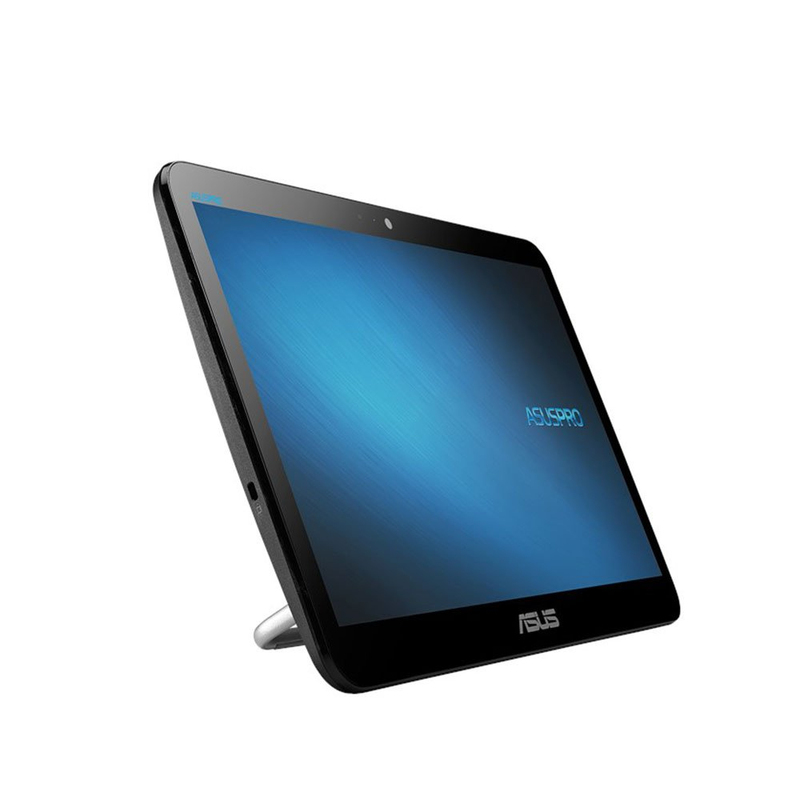 The ASUS All-in-One PC A4110 features a 15.6-inch display with full 10-finger capacitive multi-touch capability that offers sensitive and smooth touch experience for users to enjoy fast response with easily touch of the finger tip. The anti-glare panel effectively reduces reflections and glare in bright environments, relieving the symptoms of eye strain and fatigue. The 10-point touch solution enlarges the possibilities of POS demand, educational and other operating purpose. The A4110 is designed for convenient connectivity, equipped with COM ports, USB 3.1 Gen 1 ports, VGA port and HDMI-OUT, it can easily connect to other commercial devices from projectors at school to barcode readers and POS systems at retail. The additional COM port supports a wide variety of devices, allowing more flexible usage ideal for ever-expanding businesses. 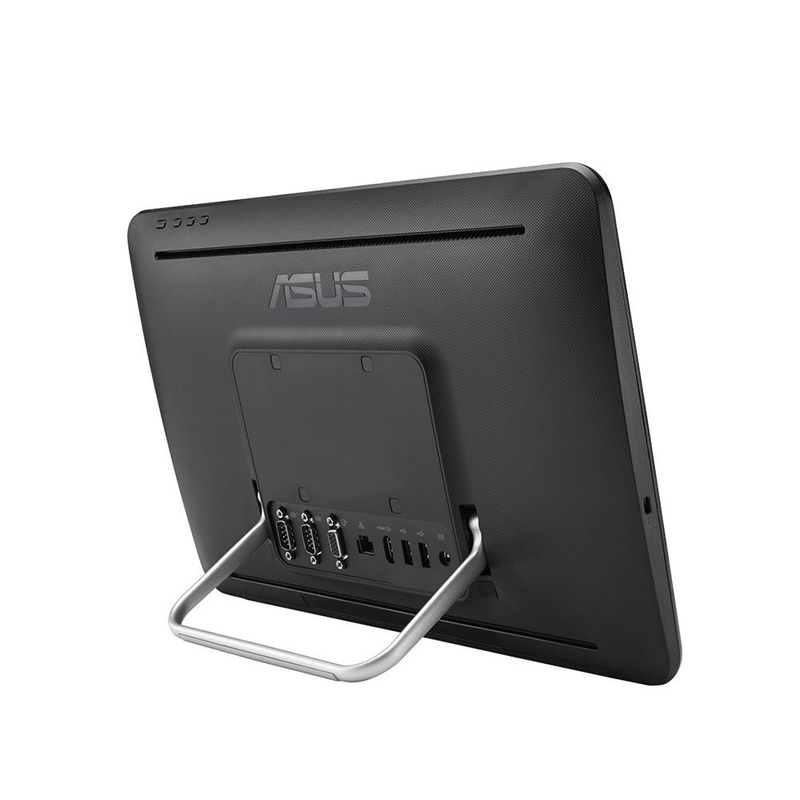 ASUSPRO All-in-One PCs are designed to provide the best quality, reliability and usability. All units have been tested to ensure their industry-leading performance on critical test items. With the growing complexity of enterprise IT environments, managing it and managing it well is putting a strain on organizational resources. ASUSPRO desktop management solutions are made to cut through this complexity. They simplify business processes, enhance operational effectiveness and deal with todays issues so that you can focus on making tomorrow happen. ASUS Business Manager is a set of program utilities that enables users to perform maintenance and optimization tasks in their PCs. The ASUS System Web-based management (ASWM) Enterprise3 monitoring tool is a reliable and user-friendly web-based interface that provides one-to-multiple centralized management, allowing system administrators to conveniently manage company assets through a single portal. System administrators can also utilize ASWM Enterprise to control desktops remotely. ASUSPRO All-in-One PCs have all you need for business. They have the computing power for traditional offices, and the latest technologies such as 10-point multi-touch screen, built-in serial (COM) port, USB 3.1 Gen 1 and 6-in-1 card reader for business applications. Along with a slim and VESA-mount compliant design, they are perfect for education, point-of-sale, self-service kiosks and more. The ASUSPRO All-in-One PCs are easy-to-use and easy-to-manage PCs perfect for education. They provide sharp visual/ audio content playback and offers intuitive touch control for students and teachers, making learning more fun and interactive. ASUS All-in-One PCs are perfect for areas with limited space. 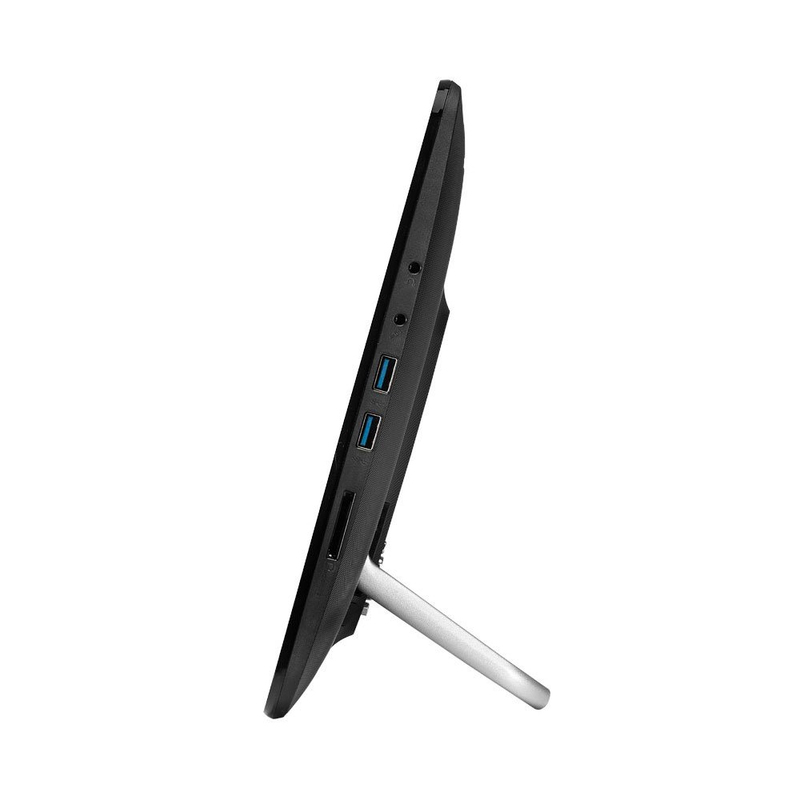 They have a sleek, sophisticated design, with a multi-touch screen for quick, responsive navigation, and built in USB 3.1 Gen 1 and serial (COM) ports for connecting commercial devices such as bar code readers and credit card readers. ASUSPRO AiO PCs are the ideal choice for store counters. The energy-efficient ASUSPRO business desktops protect the environment while helping lower businesses operating costs.